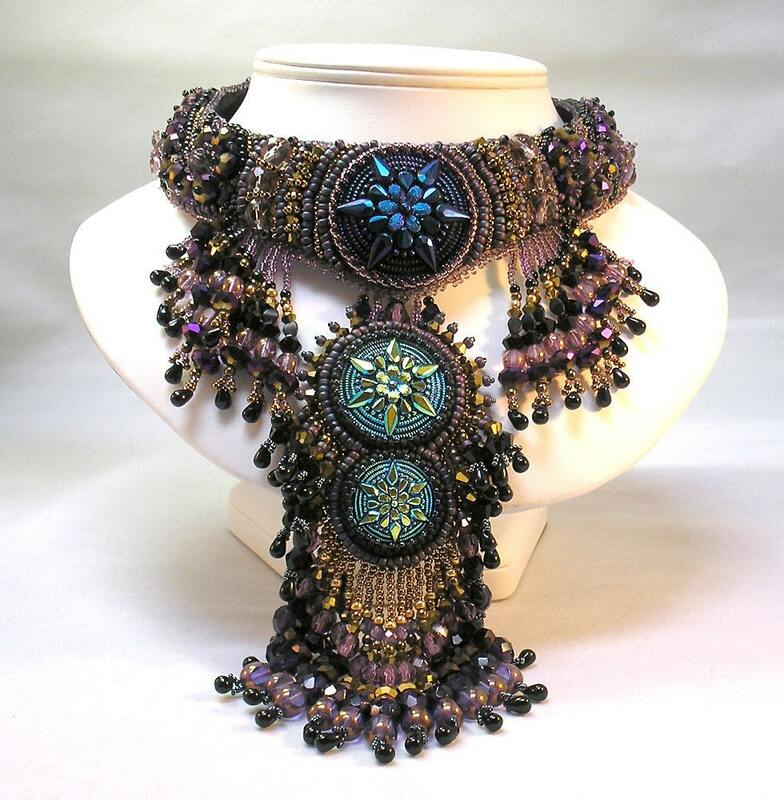 Created as both a challenge from Aunties beads & also as the June Etsy Beadweaver’s Challenge. 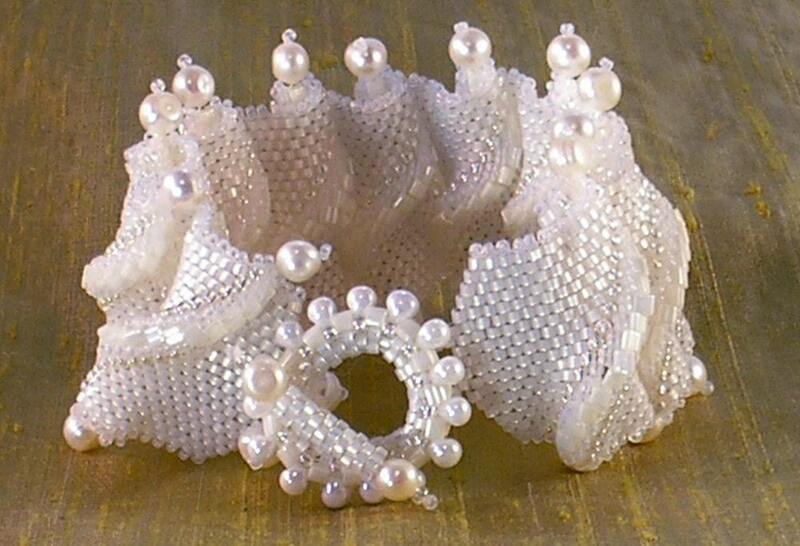 Clive Henderson from Auntie’s Beads contacted me and asked me to make a piece with some of the beads from his site. Shiny pretty things and a deadline from both he and also Bead & Button? I’m so on it! This bead embroidered pendant has my signature “too much fringe.” The central three pieces are vintage buttons I’ve been hoarding, but all the fringe beads are stuff I got from Auntie’s Beads and from a challenge I did for Caravan Beads Chicago. Its more vibrantly purple in person than on my screen. Please select your category from the list below. 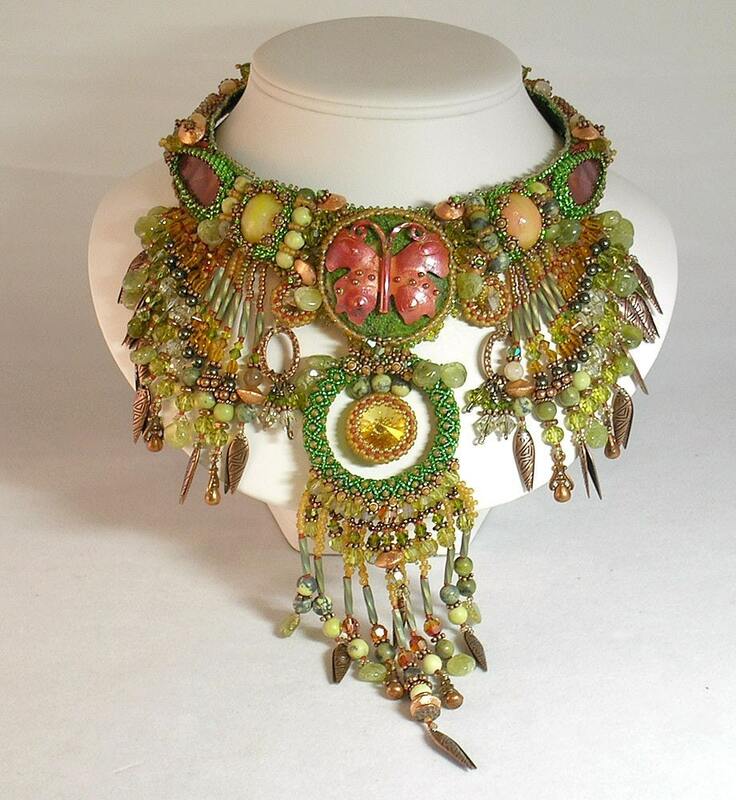 Hannah Rosner Etsy Store My most current list of available beads, kits tutorials and jewelry.